After months of speculation, the next incarnation of everyone's favourite Time Lord has been unveiled. 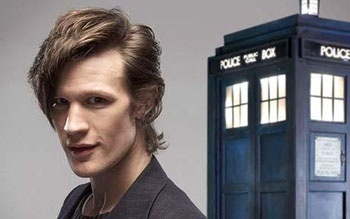 Matt Smith, star of the BBC's Party Animals, has been announced as the next Doctor and will take over from the immensely popular David Tennent in 2010, after the completion of four hour long special episodes. Smith, the youngest person ever to play the Doctor, beat veteran actors like James Nesbitt and Sean Pertwee to the role and ended rumours that the next Doctor might be a woman. Smith had this to say on his casting, "I'm flabbergasted. I haven't slept really! [Doctor Who] is an iconic part of our culture, and now I'm taking that on. It's nerve wracking. Exciting. Exciting. It's an iconic part of our culture, my grandad knows about it, my dad knows about it, it's been going since 1963 it has the iconic status of Robin Hood or Sherlock Holmes." Steven Moffat, who takes over from Russell T. Davies as executive producer after the special episodes are concluded, was full of praise for the young actor. "The Doctor is a very special part, and it takes a very special actor to play him. You need to be old and young at the same time, a boffin and an action hero, a cheeky schoolboy and the wise old man of the universe. As soon as Matt walked through the door, and blew us away with a bold and brand new take on the Time Lord, we knew we had our man."